Winter Street Scene cross stitch pattern... 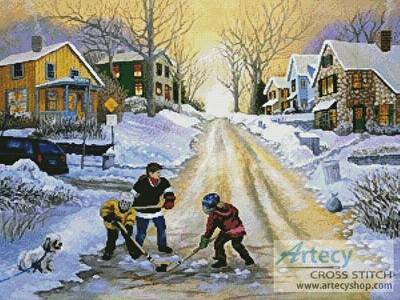 This counted cross stitch pattern of a winter street scene was designed from the beautiful artwork of Patricia Bourque. Original image copyright of Hadley House Licensing www.hadleylicensing.com Only full cross stitches are used in this pattern.